Introducing the D&D campaign EBERRON to comics and learn the strange history it shares with the threat of INFESTATION 2. 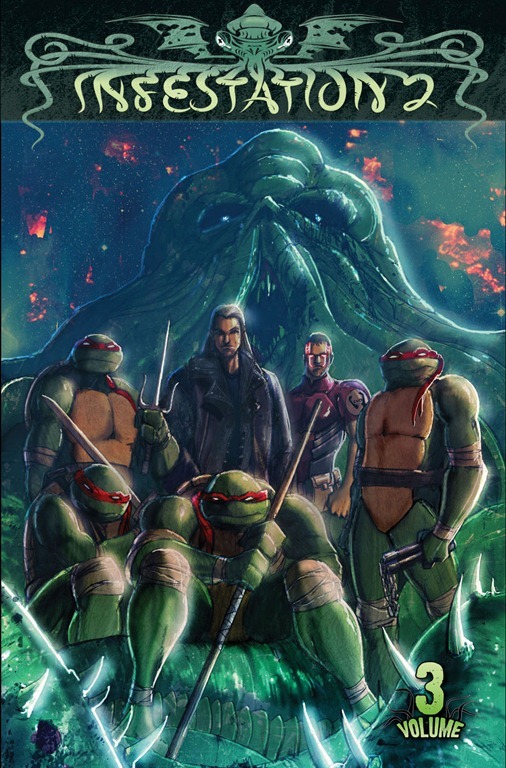 Also, one of the Turtles has been taken by something in the dark depths of the sewers, and it’s up to his brothers to save him. When it all comes down to the final battle, C.V.O. is scattered across America, and one of their own may be the key to stopping the threat once and for all—but not without a tremendous sacrifice. Danger Girl and others are on hand to help, but will it be enough?